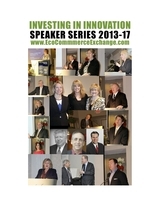 The Speaker Series in association with Eco Commerce Exchange (ECE) is now in production. From live events and select local venues, to an on-line presence that enables the worlds of social media and live performance to seamlessly meet, the ECE experience is about collaborative learning, discovering new business opportunities and unique contacts.The ECE is always open and just waiting to be discovered. Climate change may affect crops and livestock, depending on their tolerance to increased maximum and minimum temperatures, moisture availability and tolerance of water stress, changes in exposure to pests, impacts of storms, and elevated concentrations of carbon dioxide. Climate change could also have indirect social and economic effects, as regional and international markets respond to climate change. Projected warming would also increase the ability of some pest species to survive in winter. A warmer climate would enable more tropical species to spread southwards. There is also a greater likelihood of invasion and establishment of exotic animal and plant species. Future forest productivity will depend in part on the balance between the benefits of increased carbon dioxide concentrations, and the patterns of change in rainfall and temperature. For example, a doubling of carbon dioxide with a warming of 3°C and no significant changes in rainfall would encourage tree growth. However, higher temperatures, limited nutrients and reduced rainfall, as well as increases in pests and fire risk, are likely to limit these benefits. Water resources are likely to become increasingly vulnerable to climate change. At the same time, demand for water may grow as a result of increasing population, warmer temperatures and higher evaporation rates. These impacts could, however, be offset if we get more rain in summer. Water quality may be affected by changes in the number and types of organisms, water temperature, carbon dioxide concentration, transportation of water sediment and chemicals, and the volume of water flow. Decreases in stream flow, impacts on coastal underground water and intertidal habitats, and increased salinity will be critical issues for the management of our water supply and natural resources. Increased sea surface temperatures, and changes in coastal processes, such as nutrient upwelling and seabed sedimentation, could have significant effects on our fisheries and aquaculture systems. A slowdown in the circulation of the Southern Ocean, which provides nutrients to support oceanic and Antarctic ecosystems, would have profound impacts on the productivity of fisheries. However, current information on the effects of climate change and variability on major fish stocks is still insufficient to determine the likely impacts of climate change on fisheries and aquaculture. Pastures in higher rainfall areas are likely to benefit from higher carbon dioxide concentrations, but benefits may be negated by higher temperatures and decreases in rainfall. If rainfall decreased by more than 10 per cent in winter and spring – the main growing season for pastures – forage and animal production would decline, despite the higher concentrations of carbon dioxide. Warmer temperatures will also increase the risk of heat stress in sheep and cattle. In dairy cattle, annual milk losses are likely to be between 250 and 310 litres per cow, depending on the rate of warming. A projected decrease in frost frequency and severity would reduce the risk of damage to those fruits that are sensitive to frost late in the growing season. However, temperate fruits that require winter chilling to ensure normal bud-burst and fruit set are at risk of lower yields and reduced fruit quality. Climate change is likely to affect wine regions – including accelerated ripening, the need for increased irrigation, and opportunities for cultivating new grape varieties. Broad acre cropping is likely to benefit from higher carbon dioxide concentrations, but these benefits may be negated by higher temperatures and reduced rainfall. Likely reductions in water resources may reduce the amount of water available for irrigation, while at the same time, irrigation requirements may increase as temperatures and evaporation rates increase. Human settlement has dominated environmental change, and will continue to be a significant issue in the future. With the additional effects of climate change, human influences will become more severe as ecosystems progressively lose their natural protective mechanisms. Climate change is already affecting plants and animals. Preliminary research of the potential effect on the distribution of fauna species indicated that most species are likely to suffer reduced habitat ranges under climate change scenarios. Of those species, more than half are predicted to lose between 90 and 100 per cent of their range, with a warming of 3C. Studies of selected flora suggest there may also be reductions in the ranges of plant habitats. Ecosystems and species will be forced to respond directly to changing climatic conditions, and, at the same time will have to cope with, and adapt to, other climate-induced changes in land use and pests and diseases, particularly invasions by introduced species. Many of ecosystems have a limited ability to adapt to climate change. Those restricted to small geographic areas, or unable to migrate fast enough to keep pace with shifting climatic zones, will be particularly vulnerable. However, some ecosystems and species will be advantaged or unaffected by climate change. Climate change will impact on coastal areas through sea-level rise, increased temperatures and changing storm patterns. Although the exact nature of impacts are difficult to predict, many natural systems, including estuaries, coastal vegetation, wetlands and reefs are likely to have difficulty adapting to climate change, and may become increasingly vulnerable. Current settlement and development trends in coastal areas are likely to lead to greater community risk and insurance exposure to current and future hazards. Alpine ecosystems and species are highly adapted to their environment, and are extremely sensitive to changes in climate. Decreasing snow cover, increasing risk of fire and invasion by weeds and other species will have a serious impact. Species whose habitat is located in the highest elevations and coldest environments will have nowhere to retreat to as the climate warms. A range of direct and indirect climate change impacts may affect communities. Flooding and sea-level rise, heatwaves, water shortages, increased frequency and intensity of storms, greater air pollution and higher urban temperatures pose the greatest threats. Climate change may have wide-ranging effects on human health. There is concern over the direct effects of higher summer temperatures and heatwaves; increased risk of respiratory problems, water quality issues for drinking water; and higher levels of food- and water-borne disease. Climate change could also significantly impact on buildings and infrastructure. Higher temperatures and humidity, and greater risk of flooding and subsidence could lead to the deterioration of buildings, bridges and other structures, and the disruption of road, rail and power supplies. These impacts would carry significant economic costs. The insurance and finance industries are starting to re-evaluate risks, due to the possibility of more frequent and destructive storms. Small alterations in average climate conditions are expected to generate larger changes in extreme weather events. The number of days over 35°C, and longer and more intense droughts, are expected to increase in frequency due to climate change. Extreme weather events may also lead to increased injuries or deaths, property and environmental damage. The impacts of climate change affect all parts of the world. For example, the impacts of climate change on many low-lying Pacific Islands, which are highly vulnerable to climate change, could have serious flow-on effects for many countries. Climate change may affect countries' agricultural production, market prices and access to financial services, as well as the potential for flows of environmental refugees. Market changes in particular, offer both risks and opportunities for businesses, but more information is required before we are able to plan for such changes.